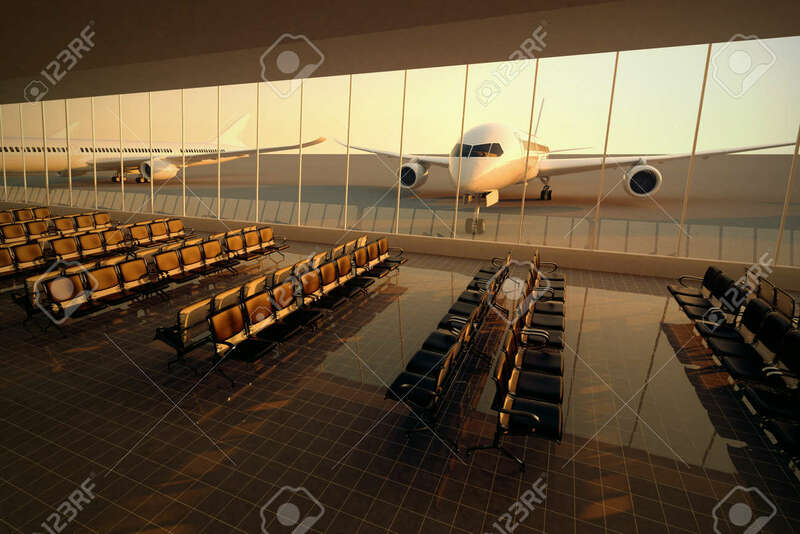 Top View On A Modern Airport Terminal With Black Leather Seats.. Stock Photo, Picture And Royalty Free Image. Image 20193721. Stock Photo - Top view on a modern airport terminal with black leather seats at sunset. A huge viewing glass facade with a passenger aircraft behind it.